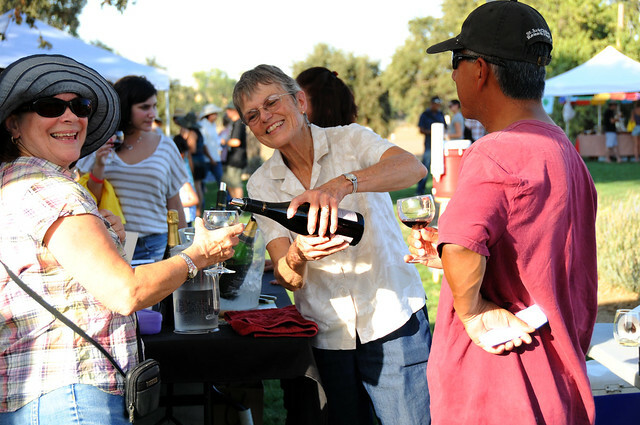 We'll be celebrating the crush season on our farm this weekend at our Capay Crush Festival! 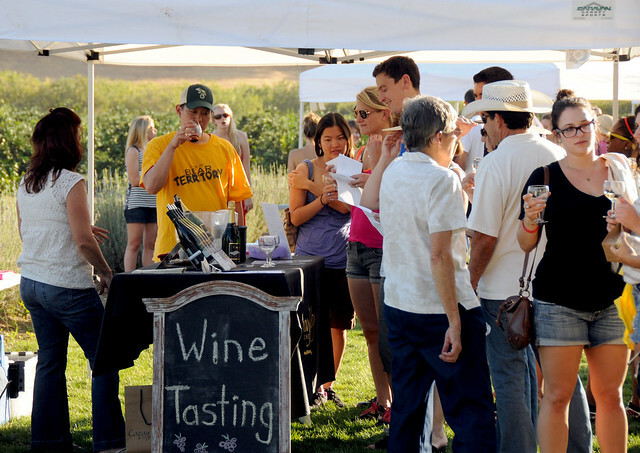 One of the many activities planned is wine tasting. 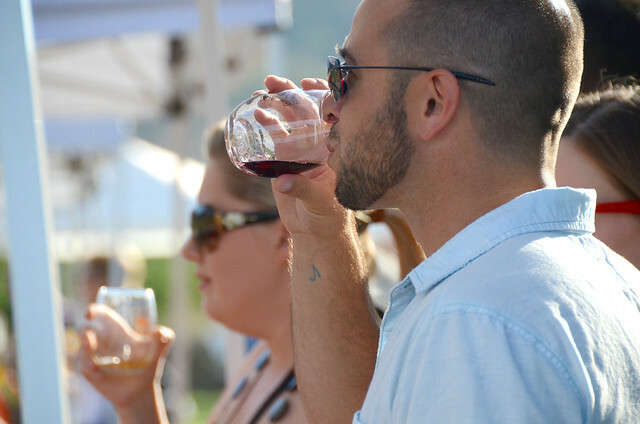 We'll be enjoying wines from the following local wineries: Capay Valley Vineyards, Seka Hills, Sundstrom Hill Winery, Matchbook and Berryessa Gap. 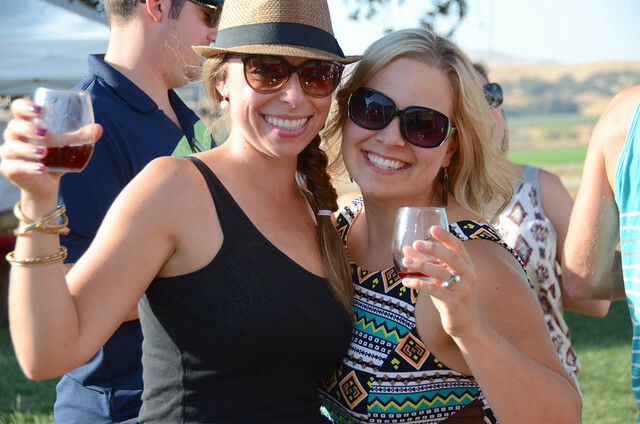 For some, wine tasting may seem intimidating, but it doesn't have to be! Wine tasting is what you make of it - all you have to do is keep an open mind, and try not to read too much into it. Make it enjoyable! To get you started, we'll introduce you to 5 Steps of Wine Tasting. Every wine has its own unique subtleties to discover. By using these newly acquired tools, you'll quickly learn just how fun and interesting wine tasting can be. 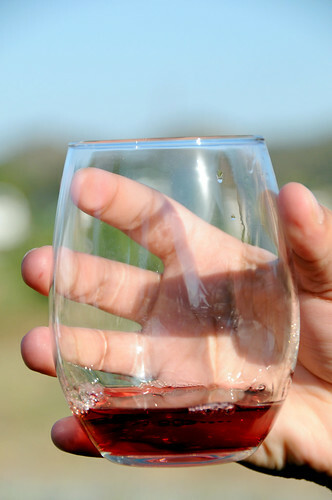 Before you bring your glass to your lips for your first sip, take a moment to visually inspect your wine. Notice its depth of color, clarity, and viscosity (texture). The best way to evaluate your wine is to look at it against a white surface. The contrast will help you to see the subtle difference between various wines. Gently swirl the wine in your glass by holding the stem and moving the glass in small circles. Do this for 5-6 seconds to increase the surface area of the wine, which releases more of the wine's aroma. Get your nose in there and take a nice, big inhale. Sometimes it helps to close your eyes. Let your mind conjure up familiar scents you've recognized from what you've just smelled: fruits, herbs, oak, earthiness. With practice, you'll be able to come up with more and more descriptive words for what you smell and taste in a wine (i.e.geranium, cut green grass, horsey). When you take a sip, hold the wine in your mouth for a bit. Give it a swish around to warm the wine and release more of its flavors. Notice how it feels, what flavors you taste - and how they differ than some of the smells you noted. Note if the wine has a long finish, a lingering flavor in your nose and mouth after you've swallowed. 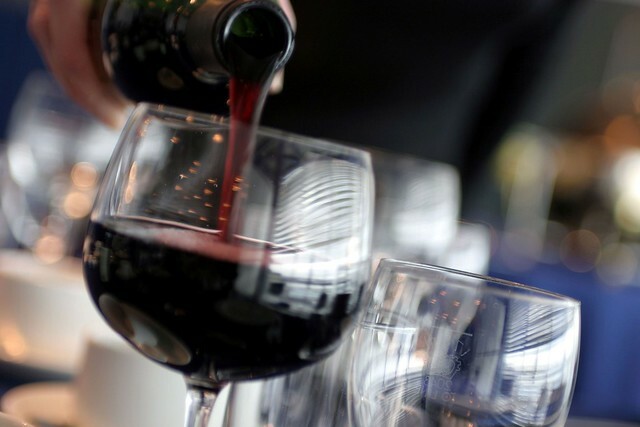 Take another sip and see if it differs from your first experience as you will notice the flavor of wines will change the longer they are exposed to air and as they warm. There is more than just flavor that can be tasted in a wine. 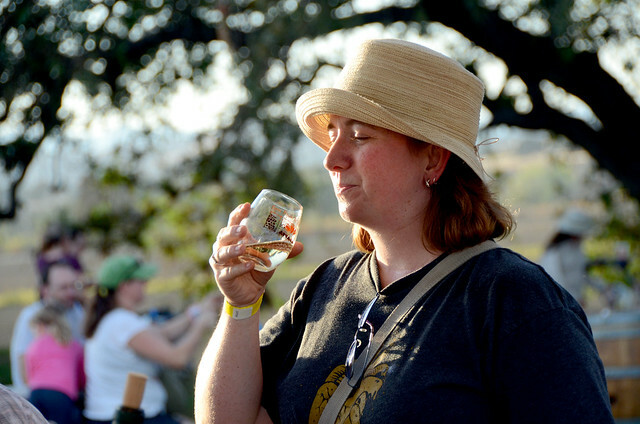 After you've had a few tasting experiences under your belt, you'll be able to pick up nuances of what the grape varietal is, where the grapes were grown, how high the sugar and alcohol content is, the levels of acidity and tannins, and so much more. Now you have all of the components to summarize your opinion of the wine you just tasted, and if you are tasting various wines at the same time, information that will help you compare the differences and similarities of the wines. Compare your opinions with the other people who are tasting with you. Their suggestions may turn you to new ideas you may not have thought of on your own. For those of you who can't make it to the farm for Capay Crush, how about hosting a wine tasting of your own with friends? You can keep as as informal as you want, or spice things up with a blind tasting. You can pair wines with fresh fruit, cheese, dried fruits and jams like this recipe with ingredients you can include in your Farm Fresh To You delivery when you Customize Your Box.